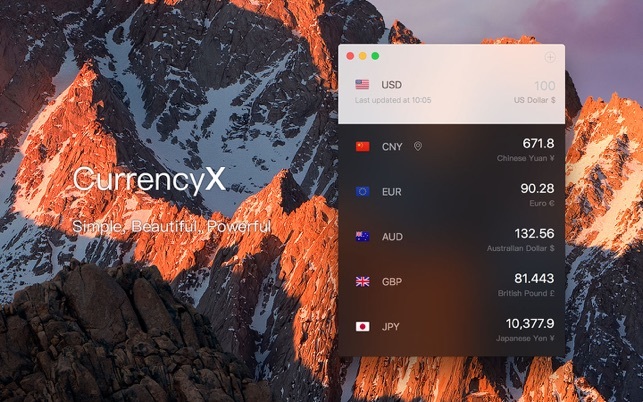 CurrencyX is a well designed currency app for OS X. it supports 160 countries and regions. Whether you’re investing, travelling, shopping overseas or studying abroad – if you engaged with currency a lot, CurrencyX helps you get latest data and trending in a convenience and fast way. 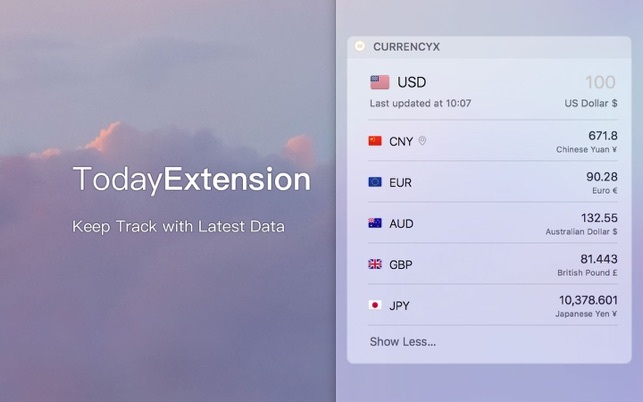 CurrencyX displays data from Yahoo, auto refresh every 30s. - Fix database is too large. Needs to be updated to be able to input text, it takes 2 clicks to input text which dsoesnt seem like the default behavior. Also needs to be able to paste in numbers and the widget should remeber the last amount entered rather than wiping when the widget menu is closed. 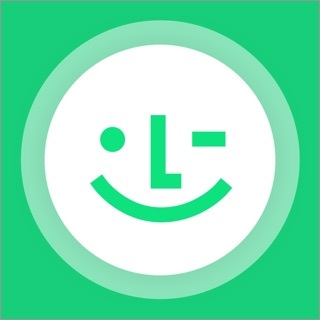 I got the app based on the positive reviews. Sure I enjoy how it looks and how it works as an app. BUT it’s broken in the widget area, for some reason I can’t type anything in it! I can paste into the widget but not type any values, alpha or numeric. Bug much? This is an absolutely wonderful currency converter with a gorgeous UI. There was an issue where historical charts would not show in version 1.3, but the developer quickly released an update with a fix the very next day I brought it to his attention! That’s what I call exceptional customer support. Thank you!